Edda Gimnes has been featured in The New York Times as one of ten Fresh-Out-of-Fashion-School Designers to Watch, she just won the Designer for Tomorrow Award in Berlin with Alber Elbaz as the patron, and will showcase her SS18 collection at Mercedes-Benz Fashion Week Berlin this summer. 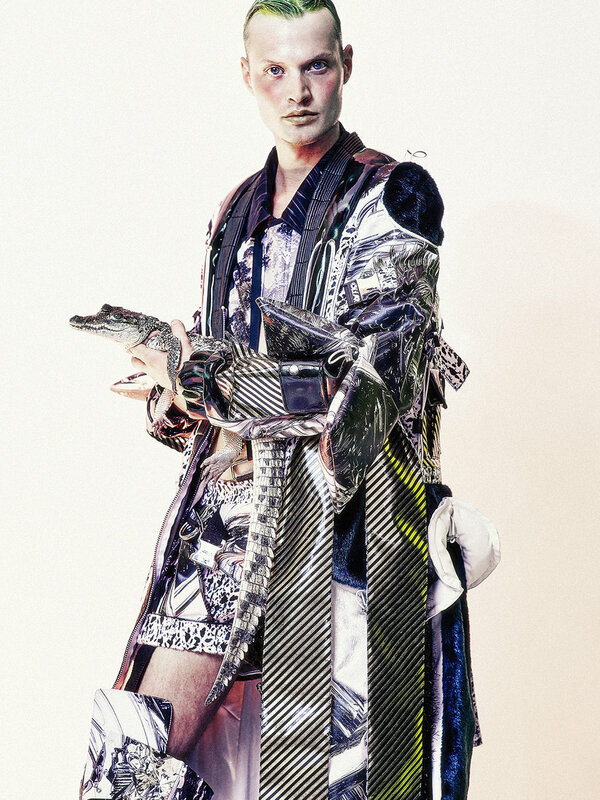 Edda Gimnes' aesthetic combines print, fur and embroidery in a graphic and eclectic way. Read more about Edda in Volume Nine. Kit Wan Studios is a new design studio based in Oslo. The designer, Kit Wan, is originally from Hong Kong, and his Asian background is a strong reference in all his work. The design and silhouettes are very bold, with a vibrant use of colours and fabrics. 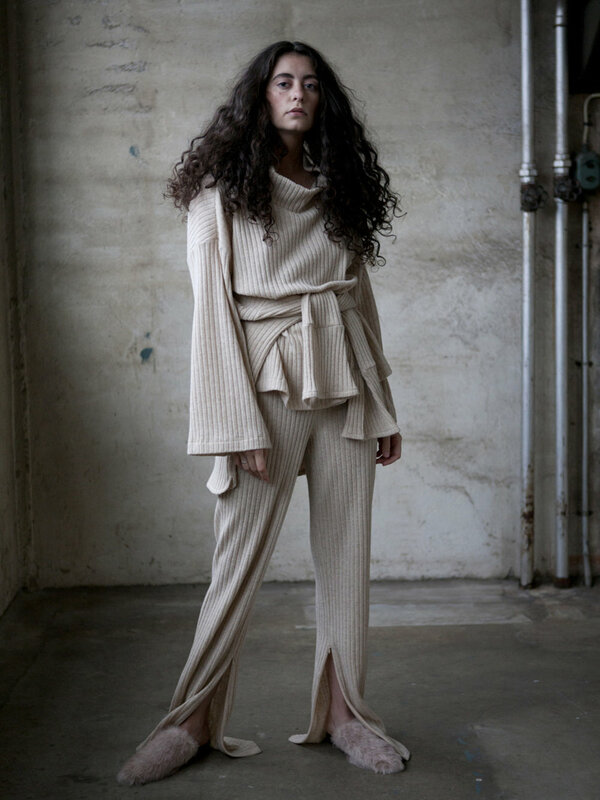 Michael Olestad, a label founded by Michael Olestad Nybråten, became an instant favourite amongs fashion enthusiasts in Norway when he launched his first collection last year. Nybråten has a background as a women’s wear designer for Acne Studios in Stockholm, and has previously worked for Ann-Sofie Back and Meadham Kirchoff. Michael Olestad’s design is recognised for his use of colour, textiles and drapes. Moiré is a design agency founded by Charlotte Fische and Linn Brevik-Riberio in 2013. After designing for clients through the agency, they founded their own label in 2016. Moiré has a great focus on tailoring, unique details, timeless cuts and high quality fabrics — with the goal of being that extra spice you put in your wardrobe as a design investment. Raske Rêvêr was founded by design duo Lisa Kristindatter Mortensen and Solveig Aksnes in 2013. The duo is outspoken politically in their work, with a focus on animal rights and environmental issues. Their aesthetics have a lot of references to sports and the result is somewhere between technical sportswear and fashion. The winner will be announced at Sentralen in Oslo in August.